Google updated the interface of the Dictionary OneBox and added synonyms. They were already available if you clicked "more info" to see the entire list of definitions, but synonyms are useful enough to be displayed in the OneBox. 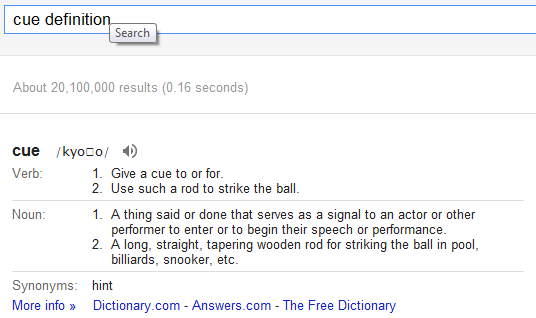 To trigger the Dictionary OneBox, search for [define word] or [word definition]. 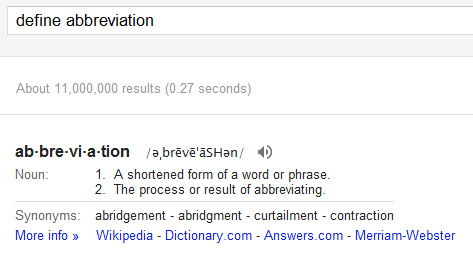 In some cases, Google shows the OneBox even if you don't include "define" or "definition". For example, if you search for [obnubilate], Google will show the definitions because it's likely that they're useful for many people. Sometimes when I make out a generic search in Google then also I am seeing the definition of complex words even though I have not used define or definition in my search.